Renting in Dubai will always remain strong as long as people keep coming to cash in on lucrative careers and tourists keep visiting the myriad entertainment options. Amidst the healthy correction of market, where the real estate market experiences genuine demand from people buying homes rather than making property investments, there are still some who buy properties to benefit from emirate’s attractive rental yields. As more units are coming online and Dubai’s expat population is increasing steadily, people are looking for accommodation options fitting their changing needs. Analysing the strong activity, Bayut.com unveils top localities for renting apartments, villas and offices in Dubai during August 2016. The rankings are based on the search hits the property portal received on its property listings. When it comes to residential units, apartments are the favourite of Dubai residents. 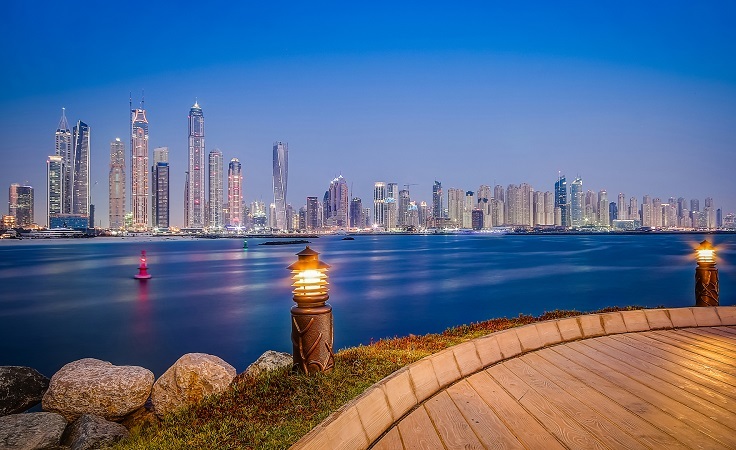 Preference in this category vary from affordability to luxury and since accommodation is becoming affordable in the emirate, we see even the high-end expensive localities enjoying interest from a good number of people. Dubai Marina remained the most popular locality for renting apartments in Dubai during August 2016. It was followed by its neighbour across Sheikh Zayed Road, Jumeirah Lake Towers (JLT), which secured the second place on the popularity list based on search hits received in the eighth month of the current year. Bur Dubai, with its affordable residential options and convenient location, was the third most popular locality for renting apartments in Dubai. Home of Burj Khalifa Downtown Dubai secured the forth place on our list, while the suburban Dubai Silicon Oasis landed the fifth spot. Villas in Dubai are normally preferred by families with children. Owners often rent them to enjoy attractive rental income, while tenants enjoy amenities like pools, back yards and an end to car parking woes. Per our database, Dubailand was the most favourite locality for renting villas in August 2016. It was followed by the locality where expats can’t buy properties in Dubai, Jumeirah. The locality is developed on the banks of Jumeirah beach and features quality villas, but are for a limited audience. The third most search for locality for renting villas in August was Arabian Ranches. The locality is developed and maintained by Emaar Properties and is one of luxury villa communities of Dubai. Al Barsha followed Arabian Ranches to become the fourth most popular locality for renting villas and the fifth spot was secured by Mirdif which neighbours Mushrif Park. When it comes to renting offices in Dubai, Business Bay is always seen to be the most popular locality among businesses. Same was the case in August 2016 as well. The locality is purpose built for offices, is located on the banks of Dubai Water Canal and features views of Burj Khalifa. The second most popular locality for renting offices in Dubai was Jumeirah Lake Towers (JLT) and the third spot was secured by centrally located Deira. Al Quoz was the fourth most popular locality for renting offices in Dubai during August 2016, while Bur Dubai rounded off the list by securing the fifth spot.